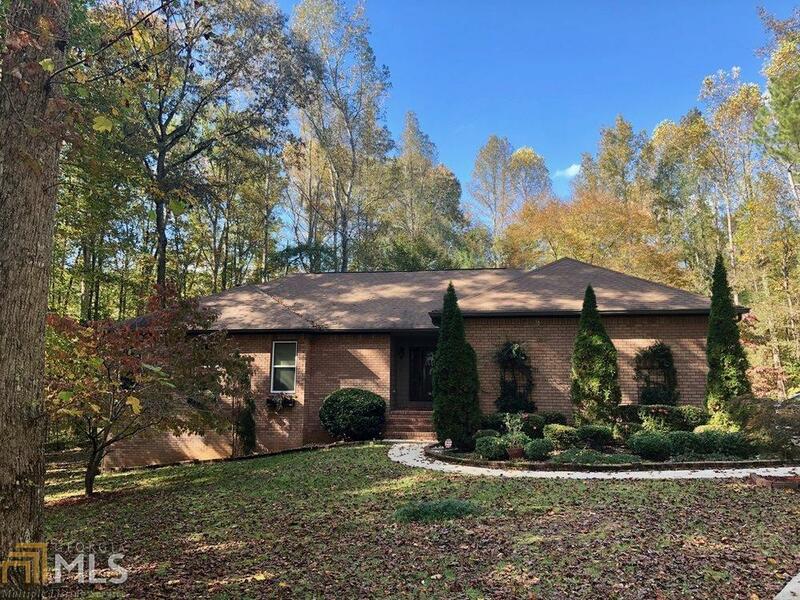 Private & serene, 1-story ranch with a full finished basement on a 1.2 acre cul-de-sac lot, in highly sought after Fayette County School District. New appliances, upgraded duct-work, separate circuit panel for the basement, 2 wet bars, new windows and so much more meticulous attention to detail, this home is sound. Relax in your built-in bench sitting area in the master, or soak in the oversized garden tub in the master bathroom. 2 bedrooms and a huge family or entertainment room in the basement. Vaulted living room with top to bottom brick fireplace off the separate formal dining room. Oversize deck overlooking large level backyard. Seller open to negotiating new flooring, paint or kitchen upgrades to be done prior to closing. Directions: From Downtown Atl, Take I75s To Exit 235, Keep Left To Tara Blvd. Turn Right Onto Fayetteville Rd. Turn Right Onto Deer Forest Rd. Take 1st Right Onto Deer Cv. Left Onto Forest Hall Pl. Home On Right.